Designed to determine intraoperative effective cusp height and geometric cusp height. 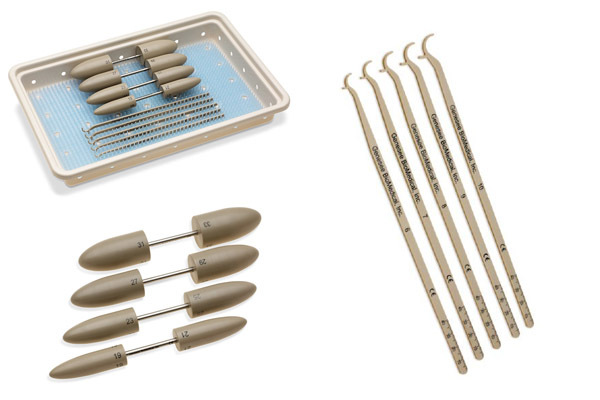 Provided in sizes 6, 7, 8, 9 and 10 to fit a variety of patients. Used to assess the aortic annulus and the aorto-ventricular junction. Subsequently used as an obturator to secure a supporting stitch in the aorto-ventricular junction. Available in four double-ended sizes: 19/21, 23/25, 27/29 and 31/33.